It also comes with SensorCore, a feature that lets the devices monitor users’ movements without draining the battery and which can be used in conjunction with fitness-tracking apps, according to Microsoft. The new version of the OS comes with the voice-operated assistant Cortana, Microsoft’s answer to Apple’s Siri and Google’s Now, as well as with a new “Action Center” for easier management of device functions and notifications, and improvements to its calendar, music, video, podcast and other features. Since April, anyone has been able to install a developers’ preview version of 8.1 on Windows Phone devices, and Microsoft this week also rolled out an update of the OS with new features and bug fixes, Microsoft official Brandon LeBlanc said in a blog post. “We’ve received a ton of great feedback so far on what people like about Windows Phone 8.1, and some things we can improve,” he wrote. 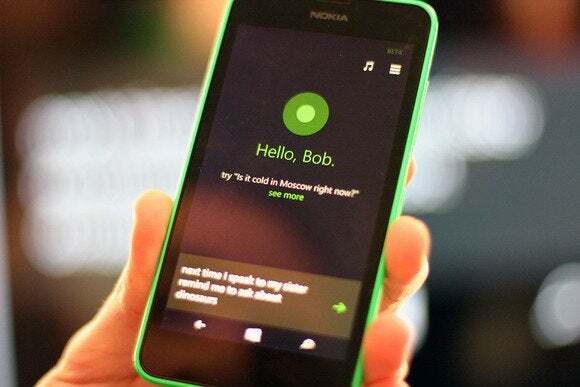 The "baked" version of Windows Phone 8.1 shipping with the Lumia 630 is considered finished because it includes the OS along with additional software from Nokia and from the mobile operators that will carry it, a source close to the company said. Meanwhile, the Windows Phone 8.1 developer preview isn't considered finalized because it hasn't gone through carrier testing and does not include software enhancements from Nokia, this person said.. Updated at 12:32 PM with additional details.